The crime of embezzlement involves the theft of money or property that a person has been entrusted with. Almost always, that property is money. Usually, the theft is committed by an employee like a cashier at a grocery store, a teller at a bank or an employee at a casino. The people who have the charge for embezzlement have one thing in common. They have the legal right to possess the money or property, but they took it and converted it for their own personal benefit. Any charge for embezzlement is controlled by NRS 205.300. The statute distinguishes between misdemeanor and felony embezzlement by the value of the property taken. If the value of the property is less than $650, the charge for embezzlement will be a misdemeanor. Anything valued at $650 to $3,499 can be charged as a Category 3 felony. Misdemeanor embezzlement can result in a jail sentence of up to 364 days. Felony embezzlement can result in a minimum sentence of up to five years in prison. 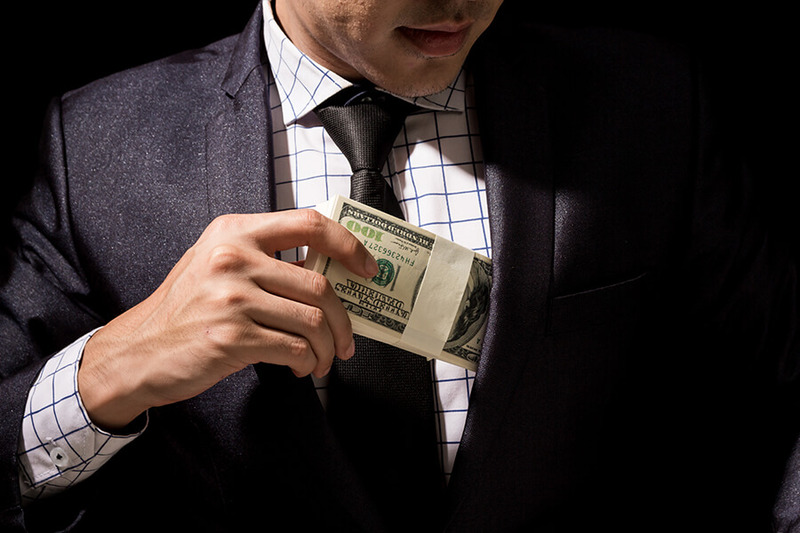 In either case, a conviction on a charge for embezzlement can result in a fine of up to $5,000. If the charge for embezzlement involves money or property valued at more than $3,500, a person would likely be charged with a Category B felony that’s punishable by up to 10 years in prison and a fine up to $10,000. Class A embezzlement is punishable by 20 years in prison and a $500,000 fine. Numerous acts of embezzlement might be committed against the same person or entity over a period of six months. Under Nevada law, those acts can be combined for purposes of whether the aggregate sum will be charged as a misdemeanor or a felony. Many employers rely on background checks before hiring an applicant. An embezzlement conviction can seriously impair a person’s employability. Invoke and protect your rights if you’ve been suspected or charged with a crime involving embezzlement. Don’t give a statement of any kind. Contact us right away. We’re going to listen to you carefully and answer your questions. Then, we’ll advise you of your full range of legal defenses and options. You can contact our office at Guymon & Hendron online or call 702-758-5858 today to schedule a free, no obligation consultation.